11am: HOMICIDE detectives have confirmed among the "significant" items found in Bowlin Rd more than a week ago was a handbag belonging to missing Rockhampton woman Chantal Barnett. Inside the handbag was Ms Barnett's Queensland driver's licence, her medicare card and other personal belongings, police authorities this morning revealed. Following a crop dusting incident in Bowlin Rd on October 18, investigators found "significant items" on a large section of land in Bowlin Rd, at the eastern end of Quay St.
Last week a farmer found human bones in the south Rockhampton rural area, which has now been quarantined. Detective acting Superintendent Bruce McNab says he can't specify how long it will take to identify who the bones belong to. The bones belong to a man. He says detectives have medical records for Mr Martinez and Ms Barnett but there are several variables that have to be taken into account before a positive identification can be made. An earlier report suggested the bones may have been female, however, they are male. The Bulletin apologises for any inconvenience this may have caused. 6am: WE CAN'T rule out any missing person in this investigation. That was the solemn message from Detective Senior Sergeant Scott Moon as investigations continued into the discovery of human remains at a Bowlin Rd property in Rockhampton. 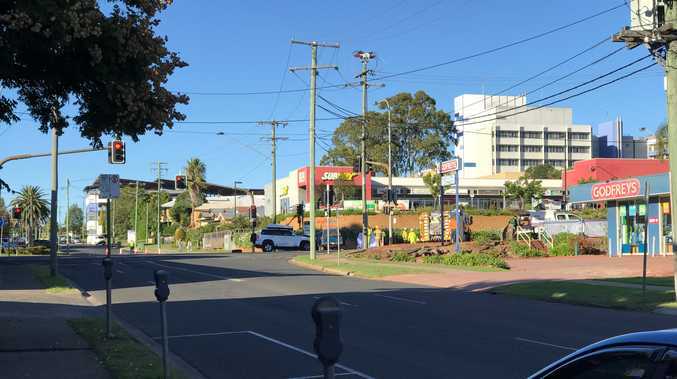 A skull, teeth and other smaller bones were found last Wednesday at the property, at the eastern end of South Rockhampton's Quay St.
Police said the bones, found by a farmer clearing land, did not make up a complete skeleton. Scientific examinations have revealed that the remains were male. Bowlin Rd was a focal search point for homicide detectives in the murder investigation of Rockhampton pair Robert Martinez and Chantal Barnett (pictured). Another missing person who cannot be ruled out at this time is Bradley Richard Kerrisk, who went missing at Rockhampton on or about June 24, 1983. Det Snr Sgt Moon stressed that no assumptions were being made about the identity of the person. "We will not speculate on the identification of the person until forensic tests can positively establish who they are," he said. "We keep an open mind and we will continue to do so. "We have not discounted any other missing people in this investigation." Det Snr Sgt Moon said police were in regular contact with the Martinez and Barnett families, who were desperately waiting for news. Robert and Chantal have been missing for more than 18 months. Scientific officers and members of the State Emergency Service continued their painstaking search of the property at the weekend. Det Snr Sgt Moon said the area of interest was about 6000 hectares. "We will continue to scour that area until we are satisfied there is no further evidence to be located. "At present, we have 17 SES on the ground there, six scientific and search co-ordinators from the local area here at Rockhampton, as well as assistance from the cadaver dog out of Brisbane. "We are committed to solving this matter and our investigative team is working around the clock, ensuring all leads are followed." 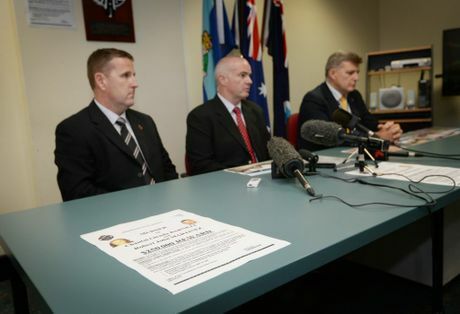 Anyone with information can call Crime Stoppers on 1800 333 000.